is spellbinding journey of India where three interesting destinations of the country altogether overwhelm a traveler with their enticing culture and heritage. 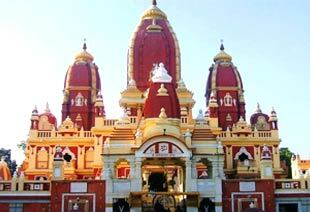 The package tour begins with sightseeing into the delights of Delhi including its old and new character. 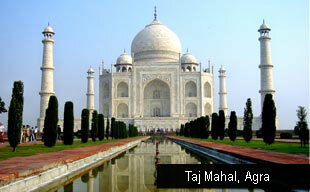 Agra in the middle of this Mesmerising Golden Triangle Tour is a crowning monument to the heritage of India. Jaipur, being the capital of Rajasthan, is a regal take of Indian luxury which is still alive in its forts, heritage hotels and mahals. Welcome upon arrival by a morning flight .Then half day sight seeing of Delhi visiting India Gate, Parliament House & President House. Then drive to Agra (205 Km). Upon arrival in Agra. Check in at the hotel. Over night stay at the hotel. Early morning, visit Taj Mahal, the architectural wonder of the world; this monument is a fine example of the fusion of many architectural styles is one of the wonders of the modern world. Taj, endowed it with some of the loveliest buildings in the world. The tour continues with a visit to the Agra Fort from where one can get the most moving view of the Taj from the little octagonal tower in the Agra Fort, which lies, across the river Yamuna. Rest of the time free at your leisure. Over night stay at the hotel. Morning drive to Jaipur (236 Km). Enroute visiting Fatehpur Sikri. Old deserted town of Mughal Dynasty - Fatehpur Sikri built in red sandstone in honour of Saint Salim Chisti who foretold the birth of three sons to Emperor Akbar, is an example of robust stability combined with originality. Evening Visiting City Palace, in the heart of Jaipur is known for its blend of Rajasthani and Mughal architecture. Also visit the Hawa Mahal or the Palace of Winds was constructed for the royal ladies to watch the royal processions without being seen. Over night stay at the hotel. Morning visiting Amber Fort, situated just outside the city, on the top of the hill on which the fort is situated. Then drive to Delhi (260 km). Rest of the time free for the shopping. Then timely transfer to the airport to connect the flight for onward destination.